brian smith, currently a regular pundit on british eurosport (most recently at gent-wevelgem), has had what might be accurately detailed as a somewhat stealth career. though known to many through the above mentioned cycling commentary and, at one time, for his presence at the tour of britain, the scotsman has a palmares unknown to quite a few. having followed fellow countryman, robert millar, to the infamous athletic club de boulogne-billancourt (acbb), later in his career, brian won the british national champion's jersey not only in 1991, but again in 1994, reaching the second step of the podium in the two intervening years, displaying an impressive consistency in the event. 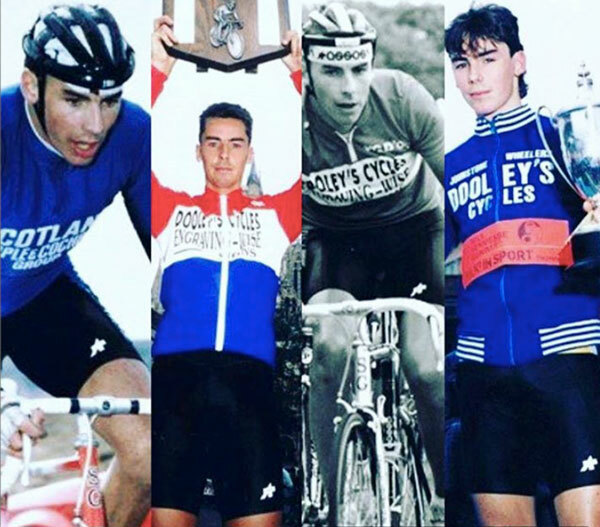 however, prior to such halcyon days, brian rode for glasgow-based dooley's cycles, an opportunity to further his career and prowess while in receipt of a modest level of sponsorship. as can be seen from the photo montage above, smith was not to be found wanting when it came to the best of clothing. 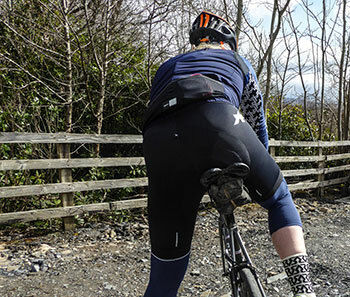 "Because I had some financial backing in those days, I could afford to buy the best shorts you could get, which, at the time, were made by Assos." 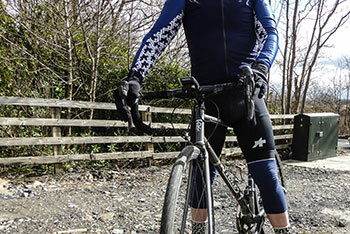 coincidentally, at the time i spoke to brian, he'd just returned from a sunny but cold ride on the bike, during which he was still wearing assos, only this time, it was the modern descendant of those 1980s bibshorts. the swiss company have named these as the t-equipe evo shorts. 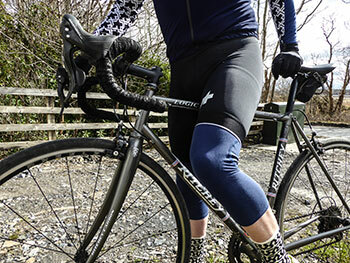 according to assos, after a lengthy period of refinement, this latest pair "...takes a step forward from the original Assos équipe short, which has been a favourite since its creation." a statement with which mr smith would quite likely agree. eschewing the current trend for having the name writ large on at least one leg of the bibshorts, assos has retrenched to its roots. the review sample sent featured only a sole, original white 'a' on the front of the left leg, accompanied by a second on the right hip. there is further nomenclature emblazoned on a red panel across the rear of the bib section, backdropped by the company's trademark black and white, abstract pattern. but only those wearing the bibs will be aware of that bit. the conservative touch is continued on the state-of-the-art, padded insert, still disconcertingly not stitched all around its circumference, (assos explained that this feature allows the pad to match your 'on-the-bike movement) but providing the sort of luxury your bottom would hope to get very used to. assos' seeming restraint in all matters evo extends to the silicon gloop inside the hem, resembling a widely spaced dashed line, but carrying out its task with aplomb, nonetheless. of late, assos have become renowned for their particularly odd product naming system. names such as 'habutightsmille', 'sturmprinz' and 'zegho werksmannschaft' to name but a few, but it seems that such eccentricity has been allowed to reach parts to which other bibshort purveyors can only allude. 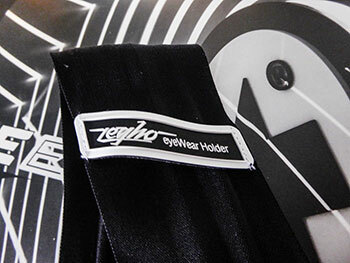 midway down the left thin, flat bib strap, can be found a strong, rubbery plastic loop, embossed with the words zegho eyewear holder. i have yet to discover what kind of cyclist hooks his/her cycling eyewear onto a strap more usually concealed 'neath a cycle jersey. perhaps that's the subject of my next conversation with brian smith. as you would tend to expect from a well-respected cycle-clothing manaufacturer with a pedigree reaching back to mr smith's days in the junior ranks, the fit is well-nigh impeccable. as if to prove my long-held contention that a decent pair of bibs ought to be a bit of a struggle to put on, the équipe evo once in place, form the equivalent of a second (matt black), and very comfortable skin. in short (if you'll pardon the pun), the fit is impeccable. i cannot deny that a less than comfortable ambient temperature necessitated the wearing of leg warmers, but even over merino wool, those gloopy lines kept the legs just where they ought to be, even in the heat of battle. whatever the reasons for leaving the pad unstitched in places, it would appear they are valid, for the level of comfort was commensurate with raised expectations. i doubt i came even close to offering the shorts anything like the hardship mr smith gave the originals, but then, very few people ever will. for several hardy perambulations of the principality, these will do just fine, thank you very much. and should you ever have doubts as to your ability to complete the ride, that white logo on the leg ought to offer succour in the face of potential adversity. the assos t équipe evo bibshorts are available in sizes ranging from xs to xl, xlg and tir. there is a leg band colour option of either red or silver, plus a stealth option of no logos whatsoever. retail price is £150.